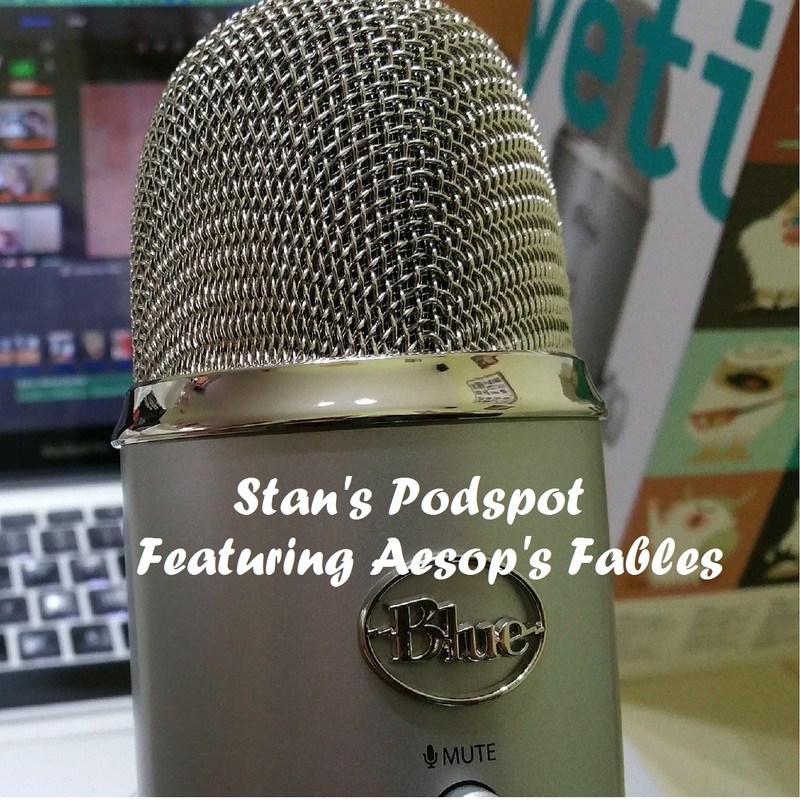 Stan's Podspot features a series currently focusing on the well-known fables of Aesop. Each one has a short, meaningful message to convey, which, although written about 3000 years ago, is still very much applicable to our modern world. We hope to bring you these messages through vibrant podcasts, followed up by interviews with both adults and children, on a regular weekly basis, where we will discuss just how they relate to the fables through the circumstances of their lives. Please enjoy! Please go to our main website, www.kaz-av.com to see more about the things we do. Our www.seniorshotspot.com site, is a separate site devoted exclusively to seniors. This was our very first podcast on Aesop's Fables, which inspired me to continue the series. Enjoy! Learn about the conflict between living a life of luxury amidst all the pressures and dangers that go with it, and the relaxed life of living simply, with all the basic things you need, and unencumbered by all the pressures of living in the "fast lane"
Kent Goulet was leading a normal life until it was shattered by an accident that left him in a wheelchair. In a moment his life changed abruptly, and in this interview you'll hear his views on his life and circumstances in relation to Aesop's Fable of the Town Mouse and the City Mouse. Its a fascinating interview. This fascinating and well-known fable teaches us the lesson of "making haste slowly", and that constant perseverance and a modest approach to life will get us far further than a hectic, arrogant approach. The well-known fable about the boy tending the sheep, and calling for help pretending that a sheep was attacking the flock - until a wolf REALLY came on the scene. A lesson in life - NOT TO LIE, because you will eventually be found out.